I guess the novelty of winter is wearing off a bit and thoughts are turning towards spring. So, this is kind of bizarre: I have always enjoyed maps and now with the advent of Google Earth, I have come to enjoy examining places of interest from above — usually when I am dreaming of visiting the place or am planning some hike, etc. 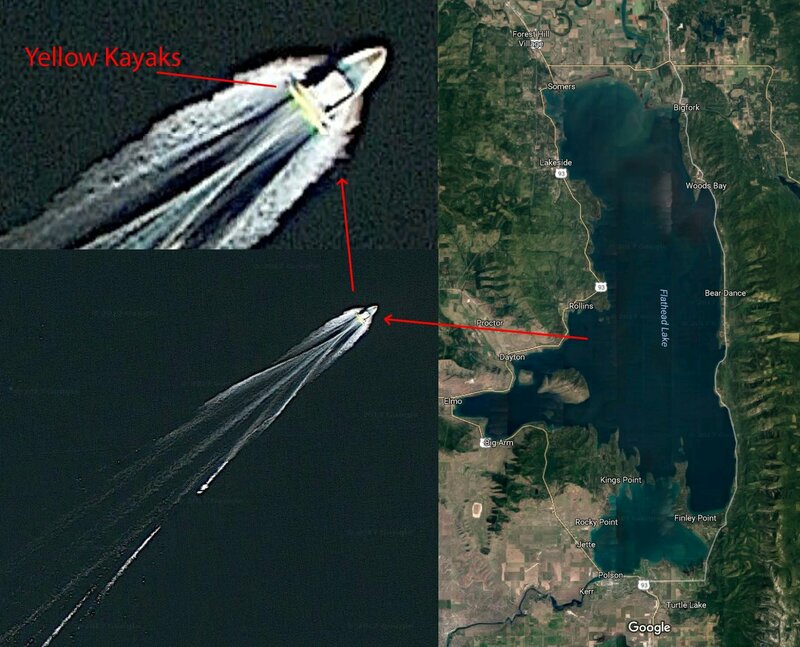 I was looking over Google’s satellite imagery of Flathead Lake when I stumbled upon a boat with two yellow elongated objects protruding perpendicularly off of its stern. I realized that I was looking at Marlene and I underway — from nearly 500 miles above! Yeah, I’ve seen satellite images of my house and my car parked outside of my house, but I have never seen myself in motion via satellite. Wild stuff. 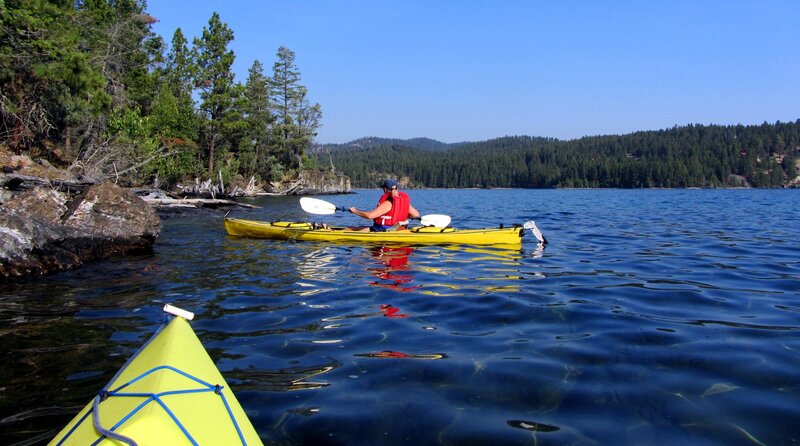 Marlene the Explorer in her yellow earthbound kayak.